I’ll just say again here what I said in January: The vast majority of these issues are the result of deliberate choices made by our Governor, our Lieutenant Governor, and our Republican-controlled Legislature. Instead of seriously addressing the needs of the state, current and future, our Republican leaders have been obsessed with trivia, from bathrooms to plastic bags to trees. We have gotten by and done all right because times have been good, but we are in a far more precarious position for when the economy goes south than we should be. In the meantime, we are squandering this opportunity to ensure a better future for all of us by making such cavalier and ill-advised fiscal choices. Every Democratic candidate running for state office needs to internalize and articulate that message going forward. The Legislature’s one mandated duty has been completed. Both chambers of the Texas Legislature voted Saturday evening to approve a $217 billion, two-year budget that would boost funding for the state’s beleaguered child welfare agency, increase the number of state troopers on the Texas-Mexico border and avoid serious reforms to the state’s much-criticized school finance system. The state budget adopted today relies on school property taxes increasing by 7% annually to balance the State budget. In other words, the Legislature is reducing its aid to schools because it assumes your taxes will increase by at least 7% a year. So, when you’re frustrated by rising property taxes and someone tells you to blame your local school board, just read them the language below. School property taxes now exceed 55% of the average person’s property tax bill. We will not get property tax relief until the Legislature fixes school finance! Kudos to Kirk Watson and Donna Howard, who have been calling out their colleagues on this hypocrisy. Jeers to Dan Patrick and Paul Bettencourt, who insist on manufacturing villains at the local level to blame for rising property taxes. It’s an effective con, you have to admit. But if you’ve paying attention, now you know the real story. Don’t be a sucker. So the big remaining question is whether this will herald the end of the legislative season, as it normally does, or whether Dan Patrick will succeed in strong-arming Greg Abbott into calling a special session to try and force through a bathroom bill. Patrick’s gonna do what Patrick’s gonna do, so do what you can do and call Abbott’s office at 512 463 2000 and tell him no special session. There’s no reason to go down without a fight. RG Ratcliffe has more. The one bill that must get passed is on its way. After months of private squabbling and public threats of a legislative overtime session, the Texas House and Senate finally compromised to unveil a joint budget late Saturday. Lawmakers, scrounging for cash in a tight-fisted legislative session, agreed to dip into the state’s savings account and to make use of an accounting trick using funds set aside last session for highway projects. “We have reached a consensus on what I believe is a responsible, compassionate and smart budget for the people of Texas,” said state Sen. Jane Nelson, R-Flower Mound and the upper chamber’s top budget writer, at a committee hearing that lasted late into Saturday night. Budget documents indicated around $1 billion would come from the state’s Rainy Day Fund, a $10 billion savings account available to shore up the budget in difficult years. That money would pay for priorities such as repairs to the state’s aging mental health hospitals and bulletproof vests for police officers. Nearly $2 billion more would come from an accounting trick related to transportation funding approved in 2015. The proposed budget would delay a payment to the state highway fund in order to free up that funding for other needs in the current two-year budget. The House had previously been critical of the possibility. Though lawmakers were creative in tapping alternative money sources to avoid steep cuts this budget cycle, some high-dollar expenditures, notably Medicaid, the federal-state health insurance program for the poor and disabled, were not fully funded. That means lawmakers will almost certainly need to address those underfunded parts of the budget in 2019 — their next legislative session — in the form of a supplemental budget. The House had originally intended to use $1.4 billion from the Rainy Day Fund, then considered upping it to $2.4 billion, while the Senate aimed for $2.5 billion in pay-delay gimmickry. Nice to see everyone can give a little to get a little, I guess. No budget is ever going to be good under our current political circumstances, but this one could have been worse, and that’s about all you can hope for. On property taxes, the lower chamber unanimously approved an amendment that contained key language from Senate Bill 2 — which, among other things, requires local governments to give constituents more information about proposed property tax increases — and attached it to Senate Bill 669. The House sponsor of the bill, state Rep. Dennis Bonnen, R-Angleton, had been trying to move the legislation for weeks, and it wasn’t scheduled to come to the House floor until early next week. The Senate bill is an item Lt. Gov. 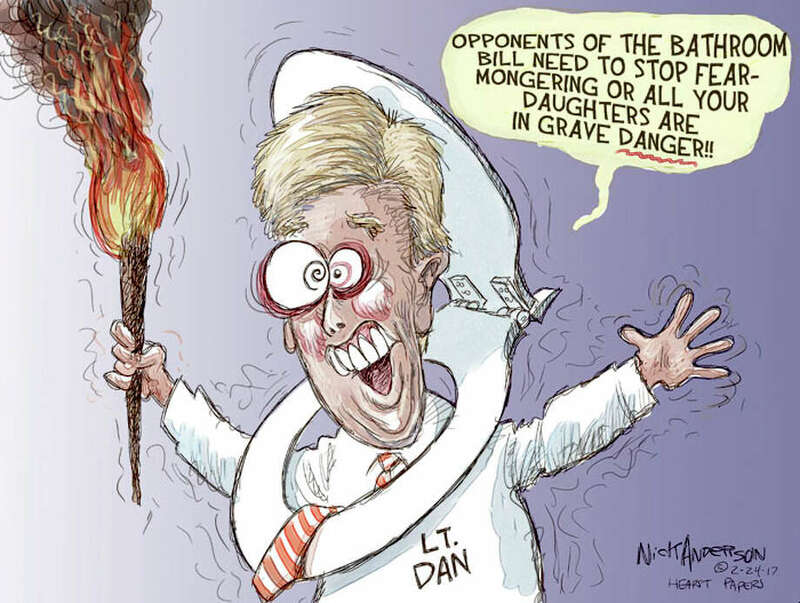 Dan Patrick has deemed must-pass legislation — he threatened on Wednesday to ask Gov. Greg Abbott to call lawmakers back for a special session if that and other measures didn’t pass. Whether Bonnen’s amendment is enough for Patrick and the more conservative Senate is still unclear: Bonnen’s amendment lacked a key provision that would require voter approval for some tax rate increases, something Patrick stated repeatedly he wanted included. An amendment by state Rep. Four Price, R-Amarillo, would extend the lives of several state agencies that were scheduled to “sunset” – or expire. A separate measure that dealt with that specific issue didn’t survive last week’s deadline for the House to pass bills on second reading. But Price added his language to Senate Bill 80, a measure that seeks to streamline reporting requirements for state agencies. The Senate must now concur with the changes to SB 80 in order for Price’s amendment to survive. SB2 was one item on Dan Patrick’s hostage list, while the sunset bill was his leverage for it. Late last night there was a limited bathroom amendment attached to a Senate bill (I’ll have more on this tomorrow), and SB2 isn’t as Patrick wanted it, so we can’t say as yet whether his tantrum has been mollified. I’m sure he will let us know soon enough. It’s the one bill that has to pass. The Senate’s $218 billion document now goes to budget writers in the House for debate. The Senate’s proposal would spend $106.3 billion in state revenue, which is a significant bump from the $103.6 billion budget Nelson originally rolled out in January. That puts the Senate’s total spending level much closer to the House’s than they were when the proposals were originally published. Still, there are major differences in funding priorities and methods of finance that the two chambers will need to reconcile before the Legislature adjourns in May, setting the stage for some of the biggest points of contention this year. Nelson touted her budget’s focus on education. The Senate proposal actually strips about $1.8 billion in state funds for education but uses local property taxes and other revenue to make up the difference. In total, Nelson said, her proposal would boost public school funding by $4.6 billion compared to the prior budget, including a $2.6 billion provision to cover student enrollment growth. At the same time, the Senate is advancing controversial tax cut proposals that critics say would make it more difficult for the state and local governments to pay for schools. Last week, the upper chamber passed Senate Bill 2, which seeks to curb the growth in property taxes, and Senate Bill 17, which would cut the franchise tax paid by businesses in future years. Emphasis mine. Note the on-the-nose Trib headline, “Texas Senate approves its budget, shifting school costs to local taxpayers”. Whatever else happens this session, I feel like at least the message that it’s the Legislature that is the main driver of property tax discontent has gotten out. Whether it’s gotten through is another matter, but at least it’s out there. I can’t recall that ever being the case before. The Chron has more on the Senate budget. The House Committee on Appropriations unanimously approved a two-year, $218.2 billion budget as a substitute for the Senate’s leaner proposal, putting the chambers on a collision course in the last two months of the session. HB 1 now heads to the full House for a vote with contrasts to the $217.7 Senate proposal, which the upper chamber approved earlier this week. House appropriators want to spend $2.5 billion from the Rainy Day Fund in their budget, leaving a $9.4 billion balance. That decision has touched off a public fight between House and Senate budget writers about whether they should dip into the state’s savings account. On Wednesday, Chairman John Zerwas, a Republican from Katy, took a swipe at the Senate, which signed off on a maneuver that would delay until 2020 the transfer of $2.5 billion for transportation funding that voters approved in 2015. See here and here for some background on that. The conference committee for this one is going to be very interesting. The Trib has more. The Senate Budget Committee, that’s who. Texas Senate budget writers on Wednesday unanimously approved their two-year budget, which avoided some steep cuts by using an accounting trick to free up $2.5 billion state dollars that were originally slated to go to the state highway fund. Nelson said her proposed budget “meets our responsibilities” and “keeps Texas on the path to success and prosperity.” The proposal now moves on to the full Senate, where a full chamber vote is expected on Tuesday. See here for some background. Let’s be clear about two things. One, this is far from the first time this particular accounting trick has been used. Indeed, accounting tricks of all kinds are baked in our legislative DNA. They are a natural and totally expected outgrowth of the many artificial budget constraints that our Legislature is subject to. I wouldn’t claim that there’s anything honorable about any of this, but given that the constraints aren’t going away, I’d greatly prefer a bit of financial prestidigitation to slashing critical services. That said, it seems crazy to me to resort to this sort of trickery when there’s more than enough money in the Rainy Day fund to actually pay for the things that need to be paid for. There was a time when the general consensus was that this is what the Rainy Day fund is there for. The diversion tactic doesn’t make that $2.5 billion in obligations go away, it just shoves them into the next budget cycle. Which is fine of the state’s finances wind up being better than the Comptroller projects them to be for the next two years, not so fine if not. Remember, the House wants to use the Rainy Day fund to plug a gap in the budget from the last session, which resulted in part because expenses were higher than we thought they would be. We have the wherewithal to take care of this problem now. Why wouldn’t we do that? The Chron has more. Needs must, as they say. The proposal from state Rep. John Zerwas, a Richmond Republican and the House’s chief budget writer, would withdraw about $2.4 billion from the Rainy Day Fund as part of a supplemental budget to pay bills coming due for programs like Medicaid, the federal-state insurance program for the poor and disabled, and to pay for repairs to state-run institutions including mental hospitals and the School for the Deaf. Previously, Zerwas advocated spending about $1.4 billion from the fund, which holds about $10 billion currently. He updated his proposal at Thursday’s meeting of the House Appropriations Committee, saying that without making a “modest withdrawal” from the savings fund, budget writers would be forced to make draconian cuts to public programs. Entities that face budget cuts absent a cash infusion include the state’s public education system, pensions for retired teachers, and the Texas child welfare and foster care system charged with protecting vulnerable children from abuse and neglect, Zerwas said. Most legislative sessions, the Texas Legislature does not fully fund the cost of state programs, so lawmakers must typically pass a supplemental bill to cover the rest. Zerwas’ proposal would net some matching federal dollars, bringing the total value of the bill to $5.2 billion, officials said. About $3 billion would plug funding holes left by lawmakers in 2015, mostly in Medicaid and in a health care program for the state prison system. The rest would go toward current needs, such as “deferred maintenance” costs at state-run institutions including mental hospitals, many of which are in disrepair. See here for the background. I approve of Zerwas’ approach and appreciate what he is saying, but I would be remiss if I didn’t point out that a big part of the problem he is trying to solve is self-inflicted. As the story notes, tax cuts passed in the last session, at a time when oil and gas prices were low and the state’s economy wasn’t doing so well, cost $4 billion this biennium, while the referendum to dedicate a portion of sales tax revenue to the state highway fund has taken $5 billion out of the general fund. Zerwas had to file a separate bill to claw some of that money back. These were choices made by the leadership and the Legislature, the former because tax cuts are Republican crack, and the latter because we absolutely, positively refuse to consider raising the gas tax to meet our road needs. Budget gimmicks are just that, and whatever they purport to do, there’s always another gimmick to undo it. As a certain former President once said, reality has a way of asserting itself. Call it the Law of Unintended Consequences Act of 2017. See here for the background. I don’t expect this to pass – I really don’t think two thirds of the Senate will go for it – but I will be very amused if it does. Whether this is more or less likely to happen than tapping the Rainy Day Fund is now something we can test empirically. If nothing else, that’s a victory for science. We’ll see if this goes anywhere. This is for the supplemental budget, which is to say the budget passed by the 2015 Legislature, not for the one this Lege is working on. It will free up some money for the current budget if Zerwas’ proposal is adopted, in the sense that current revenues would not have to be used to close out the previous budget. Given the emergency that everyone agrees CPS is and the outcry that followed the cuts to the therapy program for children with disabilities, you would think this would be a relative no-brainer, but don’t count on it. The Rainy Day Fund morphed from being a tool to use to smooth out economic bumps to a lump of gold buried in the backyard that is never to be touched unless there’s a natural disaster, with the 2011 session in which cutting $5 billion from public education was seen as the better choice as the turning point. A supermajority is needed to tap the Rainy Day Fund, and I have a hard time believing Dan Patrick and his Senate sycophants will go for that. But at least someone had the guts to bring it up, so kudos to Rep. Zerwas for that. Keep an eye on this, because it may be a precursor of the larger budget fight between the chambers. If Zerwas gets his way, that bodes well. If not, things could get ugly. The state is facing big problems affecting vulnerable populations that will take significant money to fix at the same time that a slump in the energy industry is chipping into its revenues, House Speaker Joe Straus warned Tuesday. “Writing a balanced and disciplined budget that appropriately funds our top priorities is going to be a significant challenge,” Straus said in a letter to House budget-writers, expressing confidence they are up to the challenge. “This is not a theoretical exercise, but rather a task that affects children, taxpayers, and our state’s future,” he wrote. Oil prices that stood at close to $60 a barrel when the Legislature adjourned last year are averaging “closer to $37 a barrel,” Straus wrote. And the state sales tax has marked five monthly declines. Texas Comptroller Glenn Hegar last year reduced his estimate of anticipated tax revenue for the current budget period by billions of dollars, while still leaving more than enough money for the state to pay its obligations. The public school funding system also is under court challenge. A state district judge already has ruled it unconstitutional, suggesting that a fix could cost up to $11 billion. The state has appealed the case to the Texas Supreme Court, which could rule this year. In addition, Straus said, the program providing health-care benefits to retired teachers is in need of a long-term solution. Those challenges will require “significant financial resources,” wrote Straus, R-San Antonio, and they alone would pose a challenge for lawmakers who return in regular session in January 2017. In addition to looking at state program needs, leaders including [Lt. Gov. 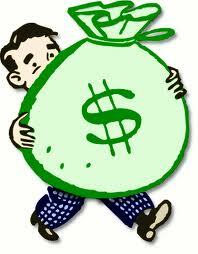 Dan] Patrick are setting the stage for additional tax relief in the next legislative session. Sen. Paul Bettencourt, a Houston Republican named by Patrick to head the Select Committee on Property Tax Reform and Relief, said there will be room for reducing taxes and that zero-based budgeting, in which all spending items must be justified, will help accomplish that goal. Of course there’s room for property tax reductions. There’s always room for property tax reductions. We can do those other things with whatever’s left. Wafer-thin mint, anyone? I don’t know what the Lege will do about this next year – who knows, the price of oil may go back up and we’ll all have forgotten any of this happened by then – but I do know how I’d be planning to run a campaign in 2018. The Republicans running this state are all crooks or crook-coddlers. They busted the budget giving tax breaks to big corporations, while the rest of us get standardized tests, jam-packed highways, a foster care system that kills kids, and no solutions from state leadership. They’ve been in complete control for 15 years. It’s time for a change. Maybe that would work and maybe it wouldn’t. I doubt it could be any worse than what we’ve done before, and who knows? Maybe the business community will finally have had enough by then, especially if the Lege goes all North Carolina on gays and all Trump on immigration. Democrats would still need good candidates running on a whole lot of faith, the money to get that message out, and some clue how to boost turnout past the pathetic 1.7 million in off years level we’ve been stuck at. I can dream, can’t I? Trail Blazers has more. Both are threatening the next Texas budget. Last week, lawyers for the state of Texas got the latest in a string of bad legal news. A lawsuit challenging the state’s foster care system as inhumane appeared to gain steam when an appeals court rejected the state’s request to stop the appointment of two “special masters” to recommend reforms. The overhauls that have been discussed so far would be pricey to implement — as much as $100 million per year, according to rough estimates from the state comptroller’s office. But they actually are on the lower end of all the extraordinary legal expenses the state is facing at a time when stubbornly low oil prices are simultaneously threatening to blunt its coffers. Three other lawsuits against the state — two of them pending before the Texas Supreme Court, with rulings expected soon — could cost the state billions if it ends up on the losing side. Experts say the state may have the cash to cover one of them in a single budget cycle, but probably not any more than that — especially if low oil prices persist, dampening the state’s stream of tax revenue. That could mean budget cuts when lawmakers meet for the 2017 session, at least if the Republican-dominated Legislature remains steadfast in its refusal to tap the state’s nearly $10 billion Rainy Day Fund. Two of those three lawsuits, both tax cases, could cost the state a combined $10.4 billion in tax refunds and up to $2 billion in collections per year beyond that, according to the comptroller’s office, which is closely monitoring them. Potential cost estimates do not exist for the last case — a high-profile challenge to the state’s public education funding system — but past school finance rulings have cost the state billions. See here and here for some background. There’s not much that can be done about the price of oil, though after years of living it up, and of politicians claiming credit for all that robustness, I doubt there’s much sympathy out there for us. The rest are the result of policy and/or legislative decisions, some of which may well bite us in the bottom line. I’m rooting for the Supreme Court to stick it hard to the Lege on school finance, but the other cases I’d rather see the state win. As much political hay as there is to be made in a chaotic situation, there’s nothing good from a public policy perspective on those cases, and I have little faith the Lege would do a good job cleaning up the mess. But on school finance, all bets ought to be off. We’ll see how it goes.